You are cordial welcome to our new internet presentation. invite you to come to our hotel. A romantic and hospitable atmosphere is waiting for you. drink a lot of serveral kinds of good wine in the wine-cellar. who just want to go to a fair near Neckarbischofsheim stay overnight for little money in our hotel. 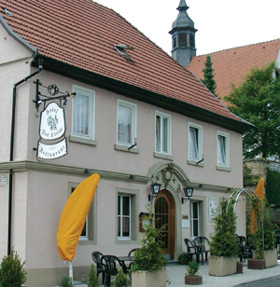 receive you in the Hotel-Restaurant Drei Könige in Neckarbischofsheim. TSG 1899 Hoffenheim take place.